CASINO PRINCE (AUS) (Bay 2003-Stud 2008). 5 wins-3 at 2, AJC Chipping Norton S., Gr.1. Leading Aust. First Season Sire 2011-12. Sire of 461 rnrs, 310 wnrs, 15 SW, inc. All Too Hard (MRC Caulfield Guineas, Gr.1), Escado, Hooked, Star Rolling, Longport, Mighty Lucky, Casino Dancer, Fine Bubbles, Sookie, Cool Gambler - Lim's Cruiser (Sing. ), Cantbuybetter, Jackpot Prince, Phrases, Slots, Timeless Prince, SP Casino Fourteen, Sweet Deal, etc. Lucky Jackson (g. by Casino Prince). 2 wins. See below. SOOKIE (Casino Prince). 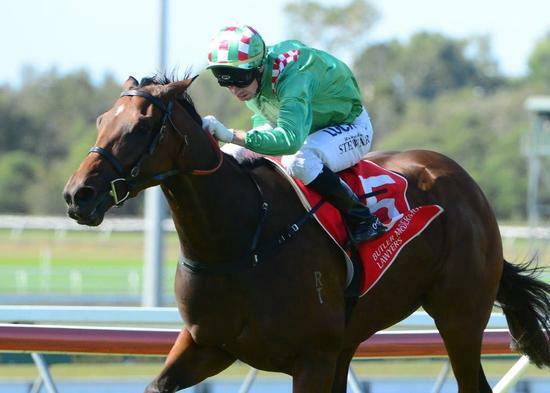 4 wins-2 at 2-to 1350m, A$224,910, BRC Glenlogan Park S., Gr.3, Sky Racing H., Carlton Mid Brisbane Bloodstock Bonus 2YO P., 2d BRC Mode P., L, Channel Seven H., Mount Franklin H., 4th BRC BJ McLachlan S., Gr.3, ATC Canterbury Classic, L.
Kaitlin Cove. Winner at 1600m, 3d Ipswich TC Queensland Times H.
All Too Good. Placed at 3 in 2017-18 in Aust. Whiteley. Winner at 2 in 2017-18, 2d ATC Theraces 2YO P., 3d ATC Energy Air 2YO P.
Last Vein. Winner at 1300m in 2018-19 in Aust. Sofie's Gold Class. Winner at 1400m in 2018-19, SCTC Skyracing.com.au H.
Vein Choice. Winner at 1200m in 2017-18 in Aust. SHIELDS - THE JOLLY ROGER (Mal.) (Procol Harum). 7 wins at 1200m, 1400m in Malaysia and Singapore, Singapore TC Lion City Cup, L, Superstar Gemini Cup, Patrons' Bowl, 2d VATC Acorn H., Singapore TC MRA Cup, Class 1 H., MVRC BRW 2YO H., 3d Selangor Gold Cup, L, Singapore TC Lion City Cup, L.
Queenin Caper. 2 wins at 1000m, 1050m, MRC Courtza H., SAJC All Transport Crash H. Producer. Kyros (Snowland). 2 wins at 2, A$163,200, STC Rotary Health Research 2YO H., 2d BTC Doomben Slipper S., L, Coca-Cola H., BRC GB Memorial H., Ballina Cup, 3d QTC Sires' Produce S., Gr.2, BRC Harcourts Inner West H.
Gold Coast. 4 wins at 1200m, 1400m in Malaysia, Singapore TC Class 1 H., Perak TC Class 1 H., Singapore TC Saas Fee S., 2d Singapore TC Class 1 H.
Race Record: 11 Starts 2-2-1 A$39,010. 2 wins at 1400m, 2200m in 2017-18, SCTC Access Insulation H., 2d ATC Blakes Marine H.